The first time something is done is often viewed as especially revealing. According to China’s state-run media, Oregon was the first place in the world to pass legislation to set up Chinese-language courses and Confucius Classrooms to promote Chinese-language study. On Feb. 24, 2010, the Oregon Senate passed Joint Resolution 50. At the center of the effort to get this legislation passed was an Oregon citizen originally from mainland China named Lan Jin and an Oregon legislator named Dennis Richardson. Lan serves as a kind of semi-official bridge between China and Oregon. When an email was sent to Chinese-Americans in Oregon inviting them to an event in downtown Portland on Sept. 17 to “welcome China’s new consul general Wang Donghua to Oregon,” the host organization of the event was the Oregon China Sister State Relations Council (OCSSRC). The president of OCSSRC is Lan, who is also the principal of a business consultant company called Octaxias. Although the company boasts of having “helped thousands of business owners and entrepreneurs access the Chinese markets,” no names of business clients are mentioned on its website. What are listed on the company’s “Latest News” page are all big names in politics, such as “Iowa Governor and US Ambassador,” “Oregon Speaker of the House Tina Kotek,” “Vice Premier Liu Yandong [of China],” and so on. There are numerous reports in the Chinese-language press about Lan, notably at the website of People’s Daily, the CCP’s most important propaganda outlet. People’s Daily refers to CPPCC as “an organization of the patriotic United Front of the Chinese people.” According to China expert Xia Yiyang, the CPPCC was established before the People’s Republic of China. Its initial mission was to give the CCP the legitimacy to govern the country. After the National People’s Congress was established, the CPPCC lost its function and was regarded by many as a “flower vase,” an institution whose purpose is decorative. However, Xia said the CPPCC is not a completely useless “flower vase” as understood by the outside world. Its main function remains to carry out “United Front” work for the CCP. Its role is still very important, and that’s why the chairperson of the CPPCC has to be a member of the Standing Committee of the Politburo of the CCP’s Central Committee, the highest ranking CCP leaders. 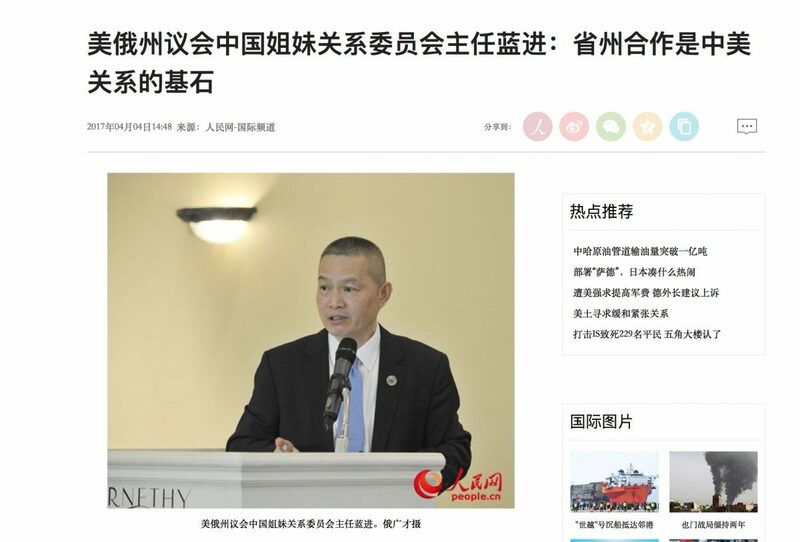 Through the United Front the Chinese regime uses organizations in other countries to advance its interests, sometimes without those groups knowing they are serving the regime’s goals. At the Home page of OCSSRC, a photo of Lan Jin and a smiling Liu Yandong is featured as a lead photo, coupled with another one featuring Lan Jin introducing Oregon Senator Bill Hansell to Liu Yandong at Zhongnanhai, the Chinese Communist Party’s central compound, during the Oregon Legislative Trade Mission to China in October, 2015. Xia said that from what he knows through his decades-long study of China, two things are certain. 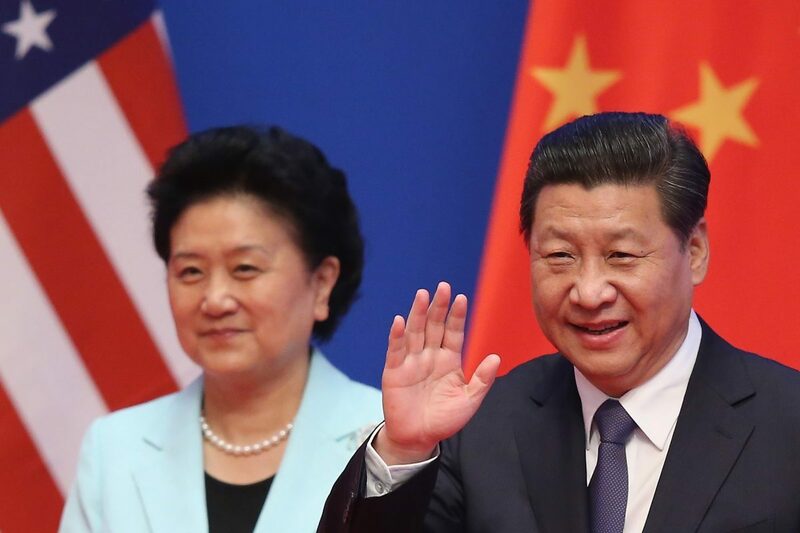 If Lan Jin could facilitate as high profile a figure as Liu Yandong to visit Oregon, he must either have a very close personal relationship with Liu, or be a core member of the CCP’s UFWD. Being able to be so close to Liu was an opportunity that many overseas Chinese community leaders would fight for. Not everyone could easily get it. If someone is involved with the national level of the CPPCC, he must be either a key member of CCP’s UFWD, or an important person that the UFWD wants to win over. Given Lan Jin’s background and situation, he may well belong to the former group, according to Xia. Lan was born in China in the 1960’s. He graduated from the Beijing Institute of Foreign Trade (now the University of International Business & Economics) in 1983. After that he came to the United States to study at Portland State University and received a B.S. degree. According to the People’s Daily article, ever since the 1990’s, Lan has been traveling back to China at a frequency of every two months. He started his own business in 1996, and has been “bridging the gaps” between the United States and China. According to Lan’s company website, he has “helped arrange for President and Mrs. Bush’s trip to the Great Wall Of China,” “facilitated Oregon Governor Ted Kulongoski’s 2008 successful visit to China; Oregon Speaker Dave Hunt’s 2009 visit to China; Oregon Governor John Kitzhaber’s 2011 visit to China; and Oregon Co-Speaker Bruce Hanna’s 2011 visit to China, Co-Speaker Arnie Roblan’s 2012 trip to China and Speaker Tina Kotek’s 2014 Legislative Mission to China,” alongside many other things. These achievements would seem to be ones appropriate for Lan’s other roles as overseas observer-representative of the CPPCC or as president of the OCSSRC. Confucius Institutes operate in colleges and universities; Confucius Classrooms operate in grammar and high schools. Both are part of the same initiative. The public record shows that Lan was listed as a member and the “Executive Director” of the Joint Committee on Fujian Sister State, which takes the credit for pushing the legislation to introduce Confucius Classrooms into Oregon’s public schools. 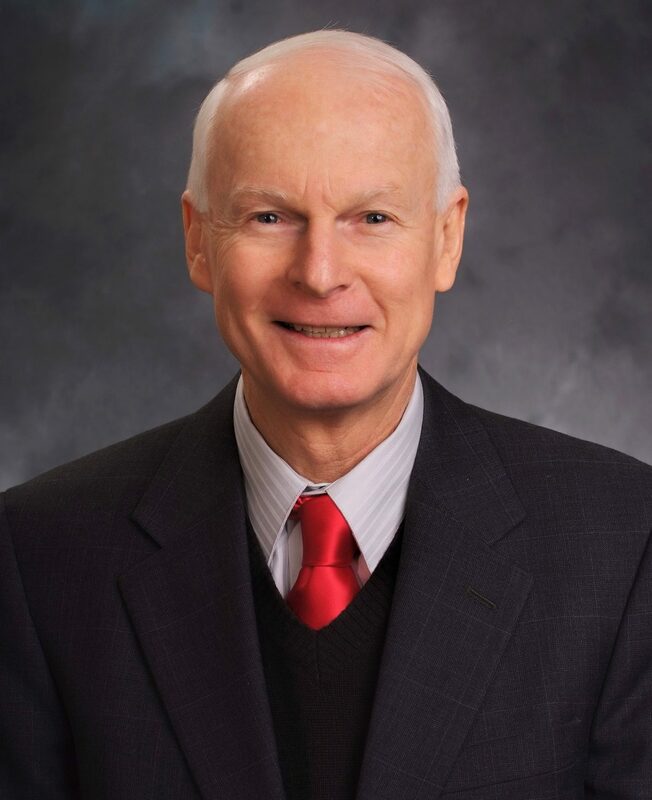 Perhaps Dennis Richardson, the current Oregon Secretary of State, and a former state representative, a member of the Joint Committee on Fujian Sister State, and the registered agent for OCSSRC, has been such a friend for Lan. The 2009 Regular Session of Joint Committee On Fujian Sister State had 18 members. Apart from two co-chairpersons, two senators and two House representatives, there were 12 “additional members.” 7 out of the 12 members have a Chinese surname, and Lan is listed as the Executive Director. The Epoch Times did manage to reach Lan via his phone. However, as soon as he heard the call was from The Epoch Times, he immediately hung up without giving the reporter any chance to ask any questions. 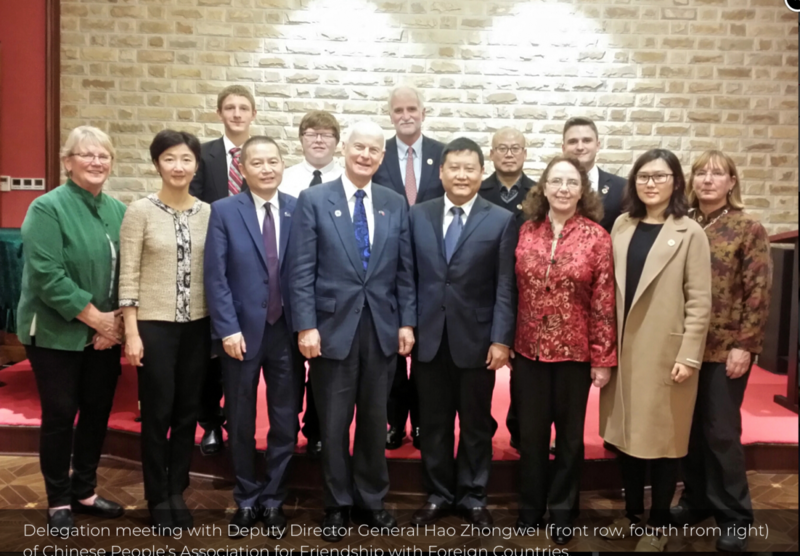 Senator Betsy Johnson, one of the two lawmakers of the Joint Committee on Fujian Sister State who are still in office, confirmed for The Epoch Times that Richardson was the main lawmaker who had worked hard, and traveled to Fujian many times, to push things forward. Johnson said she had resigned from the committee later, to give place to others who were eager to join in, and who could put more energy into the Committee’s work. “The first Confucius classroom in North or South America established in Medford, Oregon at St. Mary High School in 2008. The passing of the resolution seems to have had an effect. Dozens of Confucius Institutes and Confucius Classrooms sprang up in Oregon. Portland State University alone has 36 affiliated Confucius Classrooms. 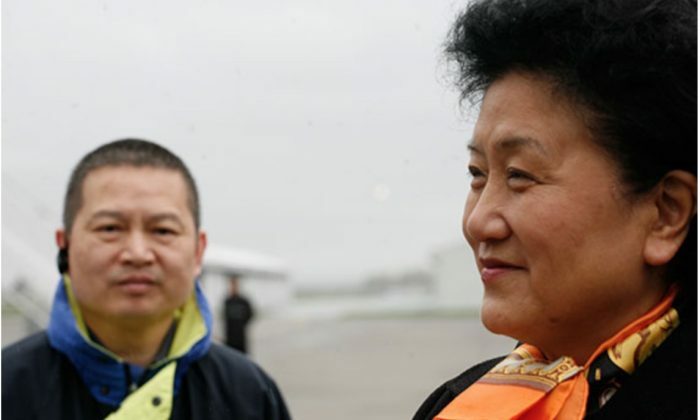 On April 15, 2011, about one year after the passage of the Oregon legislation about Confucius Classrooms, Liu Yandong was invited to Portland to unveil the plaque for 12 Confucius Classrooms in Oregon. This piece of news was published by Hanban, the governing body of Confucius Institutes and Confucius Classrooms, as one of its many achievements. Since 2010 the reputation of Confucius Institutes has changed. They are now recognized by those who follow closely these issues as part of the CCP’s “soft power” machine. The 2019 National Defense Authorization Act bars the Pentagon from funding Confucius Institutes. Nonetheless, average Americans are likely to have little idea how the Confucius Institutes or Classrooms are run or funded. In Oregon grammar schools, one can see in Chinese classrooms quotations from Chairman Mao, which some Chinese would compare to hanging up a quotation from Hitler. The activities of registered agent Richardson with OCSSRC have drawn criticism as being ethically suspect. Under the “Photo Stories” on OCSSRC’s website, there are a lot of happy photos of a smiling Richardson, featuring him leading a trade delegation to China in 2017. A report by the Oregonian, a daily newspaper in Portland, revealed that Richardson’s trade mission was partly paid for by China. The report also revealed that Richardson would not disclose which companies would accompany him to China without Lan’s permission. A list of the participants shows that Richardson’s 12 member “delegation” had only himself as an Oregon official. Four in the delegation were OCSSRC members including Lan Jin. Five were local business people selected by Lan Jin, including two Chinese; other two were Richardson’s grandsons. “Nearly every aspect of the trip’s planning is unconventional, according to current and former business development officials, and raises ethical concerns,” the Oregonian report says.